Call center interview questions will explore a number of call center related skills and competencies. Expect interview questions that determine your ability to deal with diverse and demanding customers, to maintain an acceptable level of accuracy, to work as part of a team, to gather information and problem solve and to manage stress successfully. Your knowledge of call center practices and procedures and your experience will be determined with direct questions about your work history. Go through these 6 top call center interview questions that assess your motivation to work in a call center. 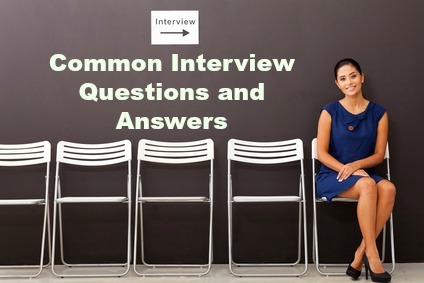 Prepare your own excellent responses using the interview answer guidelines. 1. What do you like about working in a call center? Answers include the fast pace of the call center environment, working as part of a team, communicating with and helping diverse customers, learning new skills as products and services constantly update and change. Give specific examples of the positive experiences you have enjoyed working as a call center agent. 2. What have you found the most challenging aspects of working in a call center? How have you handled these challenges? Be aware that call center interview questions like this are not asking what you don't like about the job but what you find a challenge. Focus on a couple of job aspects and describe the steps you take to manage them. Examples include dealing with angry and aggressive customers, excessive client expectations, the pressure of meeting performance targets and maintaining an enthusiastic and positive attitude over long shifts. 3. What do you consider the key criteria for a successful call center? This call center interview question explores your understanding of what a call center should deliver. A successful call center provides what the customer wants including reliability, consistent performance and responsiveness that is both fast and willing. Discuss metrics such as response times and resolution rates as a means of calculating efficiency. Customers want knowledgeable, professional and accurate responses from call center agents. 4. What are your strengths as a call center agent? Highlight those strengths that relate directly to the job opportunity. This comprehensive list of employee strengths and weaknesses will help you answer this question with confidence. A prospective employer will explore your knowledge of the company. You are not expected to be an expert on the company but you are expected to have an interest and basic understanding of the organization. There are a number of excellent resources you can use to find out about the company before your interview. Go to job interview information to find out more. Expect straightforward questions about your call center skills and experience. 6. What is your typing speed? Have an accurate answer ready. A number of candidates don't know their typing speed and this creates a bad impression with a prospective employer. 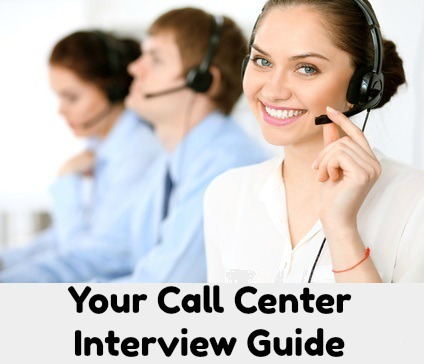 The call center interview questions that follow also demand an accurate and detailed answer. Have the information ready for your interview. What is your average daily call volume? What is your average first call resolution rate? What is your average handle time? What industry software are you familiar with? What call center training have you received ? What shifts/schedules have you worked? What products and services have you promoted? How do you obtain customer leads? What steps do you take to qualify prospects? How many outbound sales calls do you make on average per day? What is your conversion ratio? Throughout the job interview your communication skills will be closely evaluated as the key to successful job performance in call center jobs. The majority of call center employers conduct background checks on candidates, including drug testing. Go to the employment background check to find out what to expect. Professional references are usually requested for call center representative jobs. Find out more about obtaining and using the right job references at employment references. The detailed call center job description provides you with an overall understanding of the call center job.